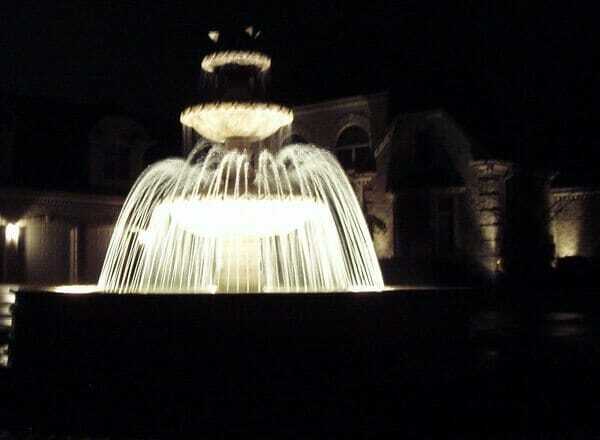 Have You Ever Dreamed of Having a Fountain on Your Property? Designing a fountain is much like creating a work of art. Outdoor fountains make a graceful statement about a home by creating a pleasing and welcoming ambiance. They enhance the landscaping style of any property. Outdoor fountains are especially beneficial serving as camouflage for traffic noise and other nuances. They can be designed to swim in which can provide relief on a hot day. Do you stand out from the rest of your friends? Does your landscaping? We offer a wide variety of styles which will be sure to impress anyone who enters your yard. Whether you are interested in grand scale models or water fountains for smaller areas, we have the ability to customize many of our water fountain designs to meet your specific needs. 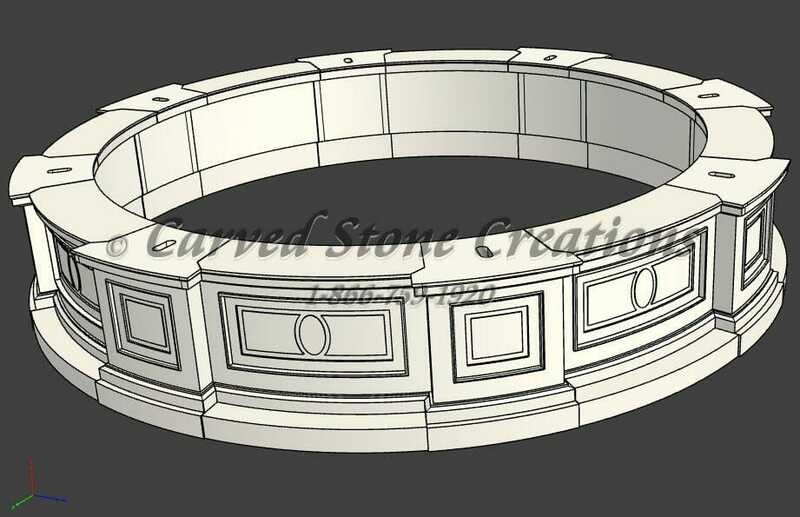 We have CAD modeling and photo-editing capabilities to show you exactly what your fountain will look like before it’s produced. Our friendly, informed staff is ready and willing to help you create your fountain dream from start to finish. 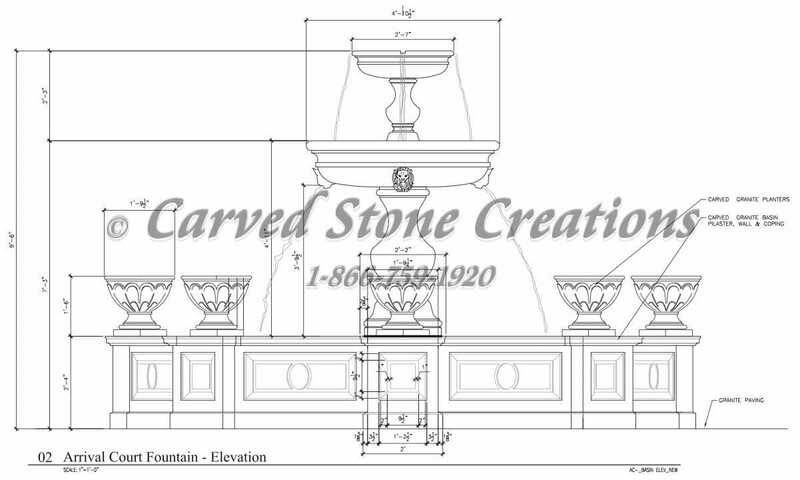 Designing custom water fountains is our specialty! Design ideas for using tiered fountains as a focal point in a courtyard or formal garden. Selecting the right size for your fountain so it will be proportionate to its surroundings and your home. 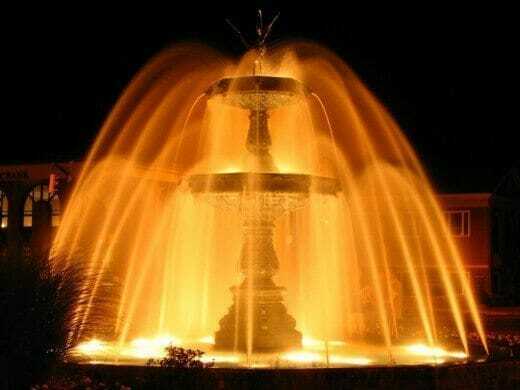 The main factors to consider when choosing the best location for a fountain, including the style of the property, whether you want to use your fountain as an accent or a focal point, and the proximity to electricity for operating a water pump. Important questions to ask before installing a water fountain, such as how much maintenance will be required and how much sound does it produce. Depending on the size, complexity and nature of the project, we work directly with architects,engineers, contractors and home owners. You give us your ideas, and together we design a fountain especially to suit your taste and needs. 1. Please fill out the form with the information mentioned below so we can contact you once your presentation is ready. 2. Take a photo of your proposed fountain location with a digital camera set on a fine resolution setting, so that you end up with a 1-2MB size file and send it to us at [email protected], referencing your name/project information. Drawings or image files can be submitted as email attachments to [email protected]. Please specify a title for your job in the inquiry field on the form, in your email subject, and in the file name for clarity and keep attachments less than 15MB if possible. *Accepted file formats: CAD files, image files, Word, and PDF. When all of the pieces are fabricated, they are transported to the job site and assembled. During the assembly process the pumps, lights, drains, and electrical connections are installed. Upon completion the water fountain is tested for proper operation. Whatever your challenge may be, we can help you turn your idea into the fountain of your dreams. All of the outdoor fountains from CSC are created with superior workmanship and weatherized materials, so that your outdoor work of art can last a lifetime without a need for expensive repairs or replacement parts; all you have to do is enjoy it, while we handle the full management process. An outdoor water fountain adds a sense of elegance and sophistication to any space. Give your guests an amazing first impression. 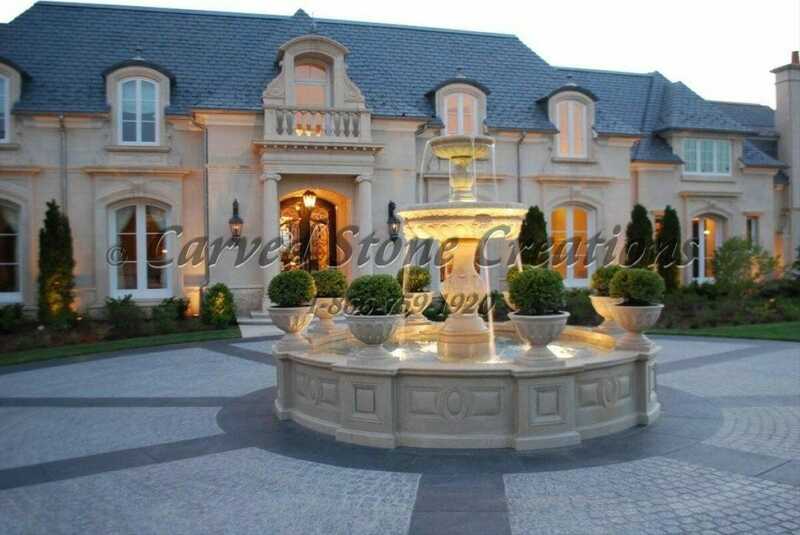 The outdoor fountains available at Carved Stone Creations come in a wide variety of themes, colors, and sizes. Take your backyard up a notch by designing outside of the box. Bring us your vision and let us help you realize it. We can help you visualize your fountain in your space with our free Photoshop presentation.